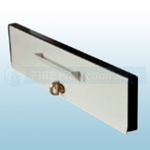 Available from Fire Protection Shop is the Internal Lockable Letter Flap which is designed with the help of the fire brigade. Intumescent letter boxes are mainly used on the doors of flats. 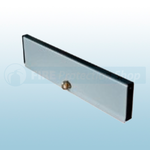 This prevents any potential fire from inside spreading into hallways or escape routes. Also available is the Intumescent Internal Lockable Letter Flap with Keyholder which comes complete with a key holder. These products have been included in a fire test employing the general procedures and criteria pf BS476 Part 22. Built into a composite door, the integrity will be maintained for 61 minutes. Also test to EU standard EN1634-1, achieving 68 minutes.